"Jack and the White Rabbit" Digital Painting. 2012. From a series of illustrations featuring different celebrities cast into unlikely roles and narratives. 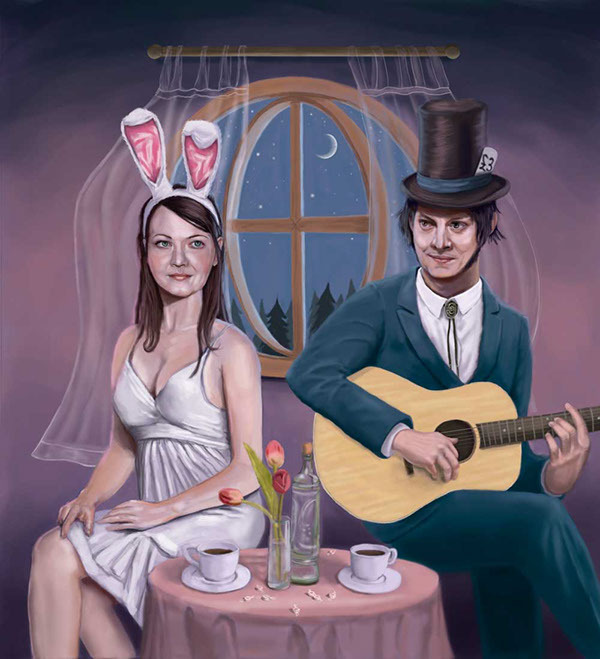 In this case, Detroit's own Jack and Meg White (of the White Stripes) cast as Alice in Wonderland's white rabbit and mad hatter. "The Kelpie" Digital Painting 2012. 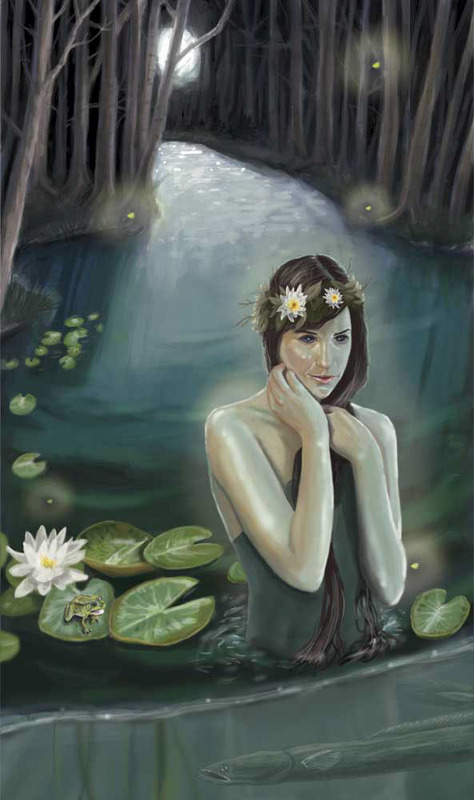 An illustration of the Celtic "Kelpie" myth of a watery fairy who lures unsuspecting passerby to their demise. 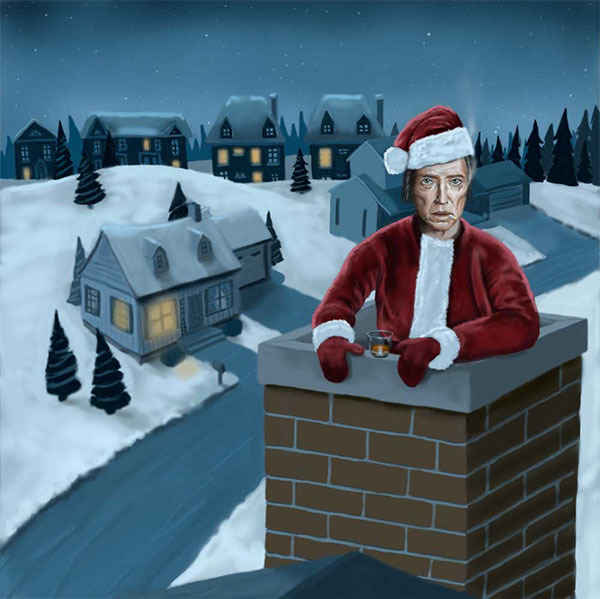 "Walken in a Christmas Wonderland" Digital Painting, 2012. From a series of illustrations featuring different celebrities cast into unlikely roles and narratives. I would say Christopher Walken as Santa Claus would qualify! 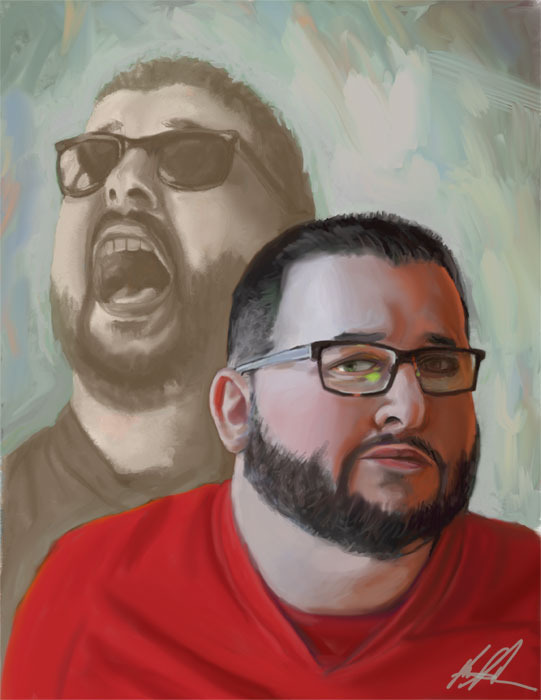 "In Memory of Bruce" Digital Painting, 2012. 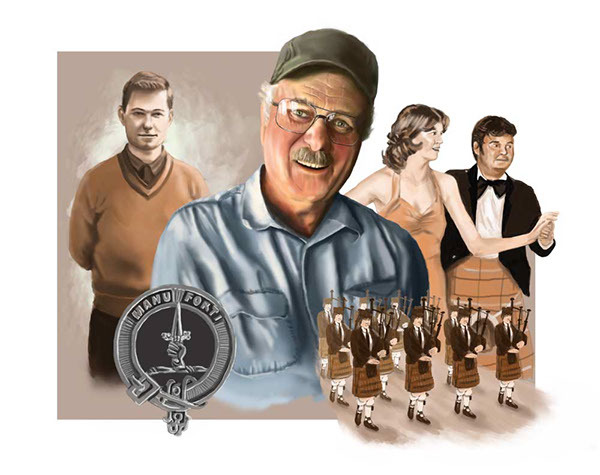 This is a personal portrait collage of a dear friend who passed away rather recently. I thought it a fitting tribute to commemorate different aspects and phases throughout his life in a timeless manner. A simple self-portrait I did simply illustrating the two, often contrasting, sides of my personality. A collection of various paintings completed throughout 2012-2013, mostly while studying at the College for Creative Studies, in Detroit, Michigan.